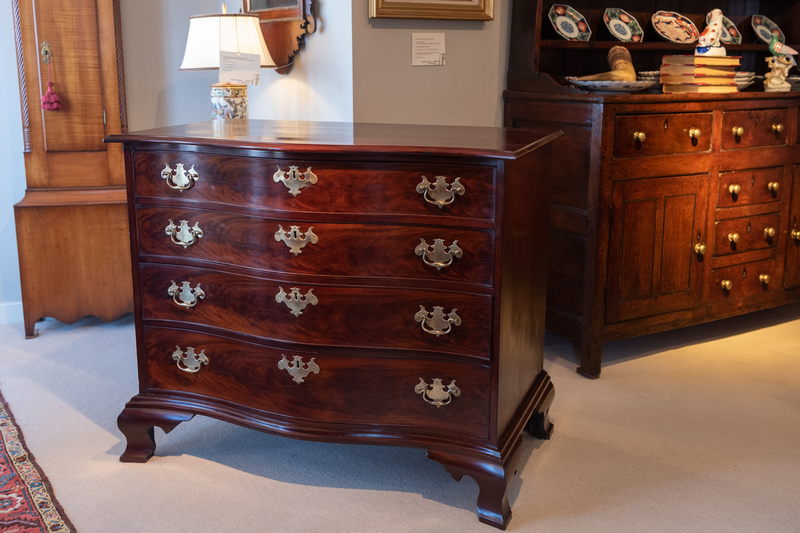 Chippendale Figured Mahogany Serpentine Chest Of Drawers. The Rectangular Top, With Molded And Serpentine Shaped Front. Above Four Graduated And Beaded Drawers, Ending In A Conforming Molded Base, Raised On Bold Shaped Bracket Feet. Minor Repairs, Retains A Rich Warm Patina! Massachusetts, Probably Boston, Circa 1775-1785, W. 41" D. 23 1/2" H.34"